For someone who struggles with change as much as me, you wouldn’t think it would be such a constant in my life. Sometimes by design, mostly not. I’ve walked through my life, one foot in front of the other, knowing my journey would continue. For the first time in my life, my “knowing” doesn’t have the same confidence. Parents of friends are starting to pass on and my contemporaries are falling victim to disease. Life has become too short. Life’s too short. A friend of mine said that to me a couple of months ago. She died this week. We wasted time not speaking to each other over a misunderstanding. I put things off. I wait. It’s clean-up left-overs time at our house. Precious bits of this and that, wrapped well and frozen, til now. I served prime rib for Christmas dinner this year. 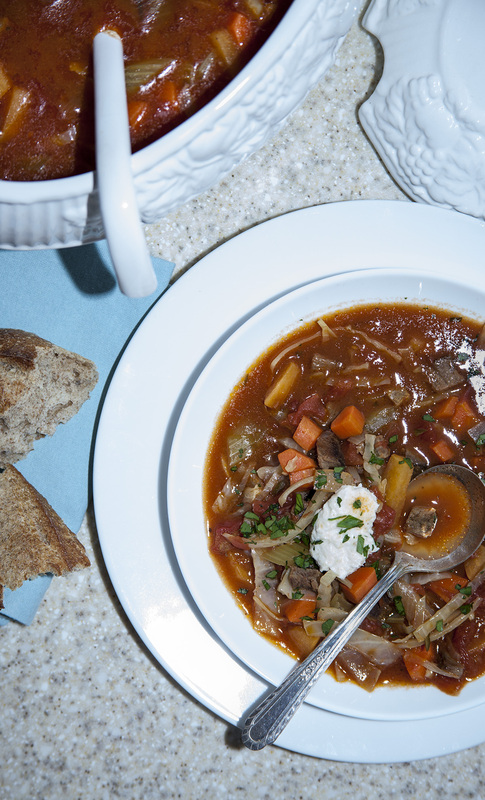 The left-overs went into this hearty old-fashioned beef and vegetable soup. Dressing it up with a garnish of creamed horseradish gives it a nice zip. Serve it with a salty blue cheese or an old cheddar and lots of crusty baguette and you’ve got a perfect winter supper. If you don’t finish the pot, you can refrigerate it for up to a week or freeze it up to two months. Just make sure it’s well sealed. 4 cups commercial beef broth – if you have homemade, use it! 1 lb. left over roasted prime rib roast meat, cut into 1/2-inch cubes – fat removed. Heat oil in heavy large Dutch oven over medium-high heat. 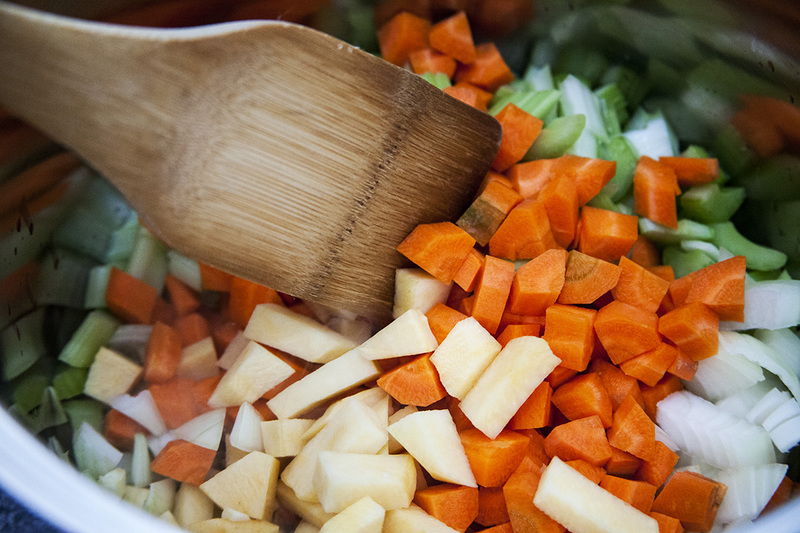 Add onion, garlic, celery, turnip and carrots – sauté 15 minutes. Add cabbage and bring to a boil. Once boiling reduce heat and simmer 30 minutes. Add gravy, bay leaves, rosemary and beef. At this point, taste your soup to determine seasoning. 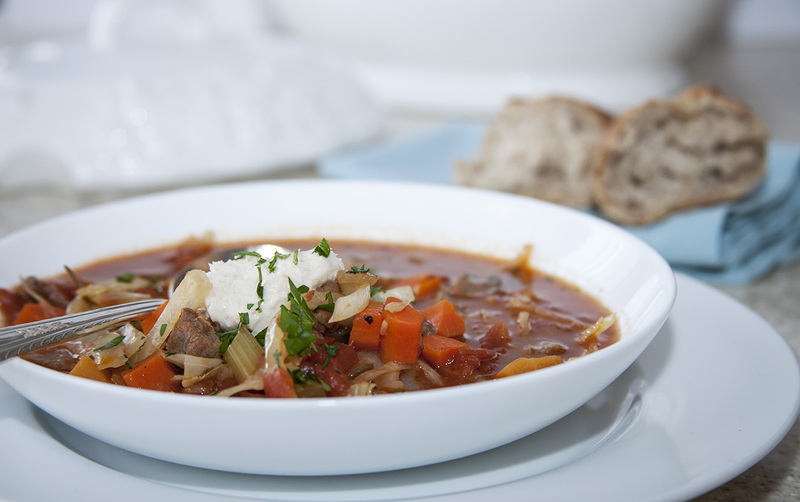 THE LOVE: Like all soups and stews, this one improves with a day in the fridge! Reheat slowly over medium low. This entry was posted in soup and tagged appetizer, beef and vegetable, beef soup, food, friends, grief, left-over prime rib, life, recipes, vegetable by Michelle. Bookmark the permalink. 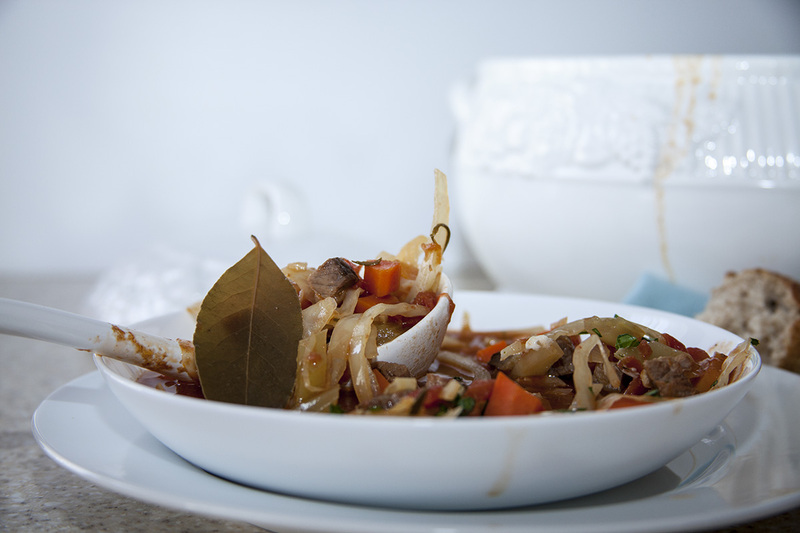 Another great recipe which will be perfect when the temperature plummets again! Life is too short to put things off ~ I found out the hard way as well but we keep on keeping on. And I guess that’s what counts! What a poignant post. Love the recipe – particularly the use of horseradish. Have a happy and thriving 2014. 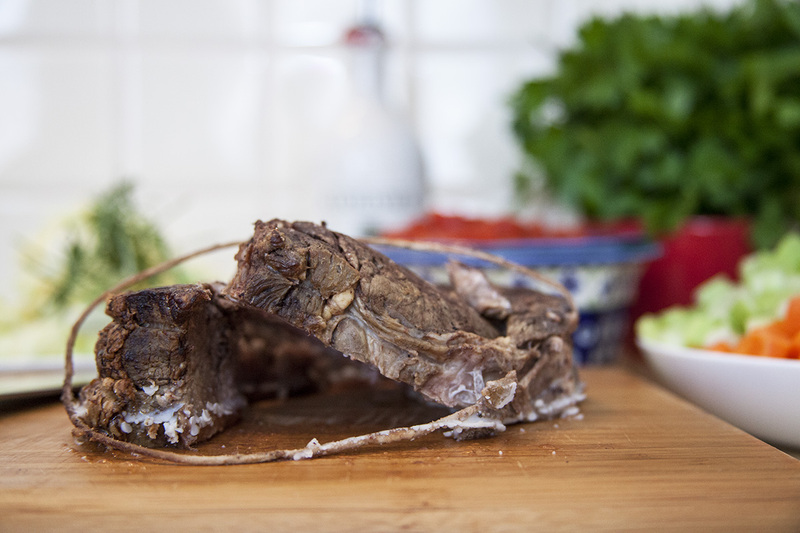 What a great way to spruce up leftover meat. It’s unfortunate as we age we see friends and family pass away. It makes me realize that I have more days behind me than I have in front of me. Just keep going and keep making great food. Great advice! Happy New Year to you and your family!! Life’s lessons can be bitter. Thanks for sharing your tale and reminding us all how precious life is – made all the more so by your delicious recipes! Happy New Year, Michelle. You are one very special lady! Hi Jay, this was a very difficult lesson but thoroughly learned. Happy New Year to you and yours!